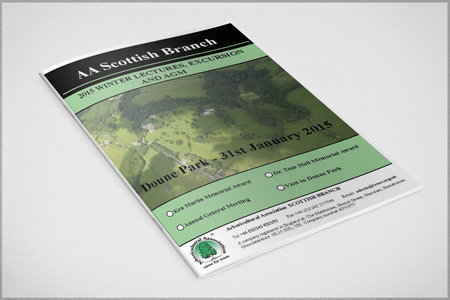 On the 31st January the AA Scottish Branch held their 2015 Winter Lectures, Awards and AGM. InfraGreen’s Product Manager, Roy Partington, was invited to attend and provide a presentation on ‘Root Protection and Tree Planting Solutions for Development Sites’. The event was held at Doune Rural Hall and included a rare opportunity to visit the notable and interesting trees which adorn the estate.